Caption This: Harry's New Disguise Isn't Fooling Us! 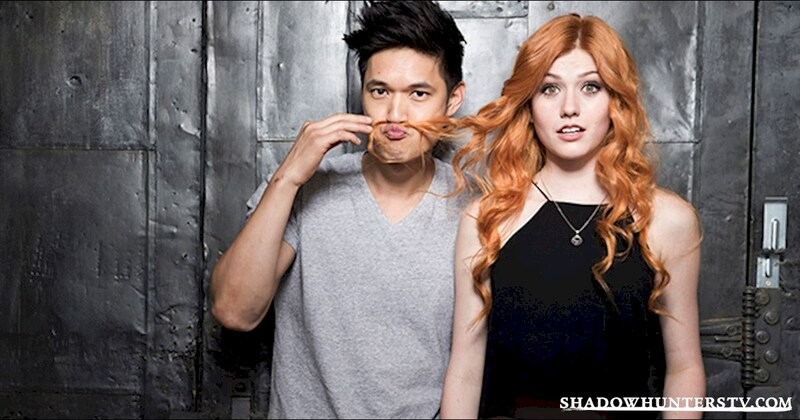 Harry Shum Jr may think that hiding behind Katherine McNamara's luxurious locks is an awesome disguise but we'd recognize that face anywhere! How'd you think the conversation between Kat and Harry went just before this shot was taken? What, or who, do you think he is hiding from? Caption away! Why do you think Harry's in hiding? Is it just us or is Katherine looking a little nervous? What weird and wonderful ideas did you come up with? Have you got any favorites? Give them a like in the comments.